Welcome to All Paws Pet Cremation and Remembrance Services. As life long pet owners we appreciate that your pet is just as important to you as a close family member. At All Paws we understand that it is difficult for you to say goodbye to your beloved best friend. Pet cremation is a way to memorialize your dog, cat or family pet’s memory. When your pet passes away, your pet will be cared for with the compassion and dignity that they deserve. Every consideration is made by our staff to ensure that your pet is handled with care and respect during your pet’s after death care at All Paws Pet Cremation and Remembrance Services. Return of cremains to your Animal Hospital or Home. Complete identification, including identification tags that remain with your pet throughout the entire cremation process. Affordable decorative urns and memorial products available. Private remembrance services available in our family room. Option to view cremation upon request. 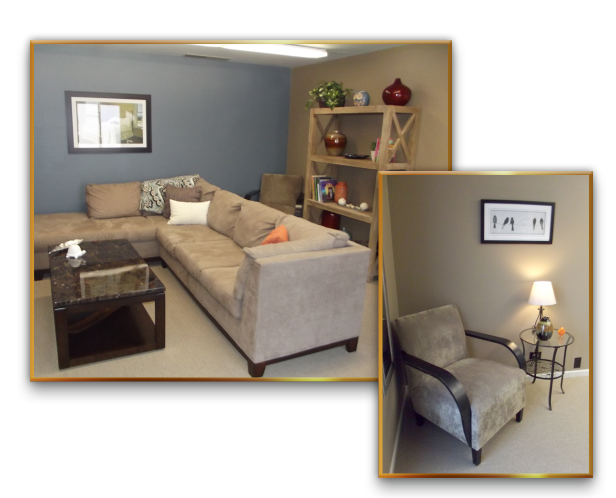 Convenient handicap accessible office and family room.